New striped soap design on the curing rack! 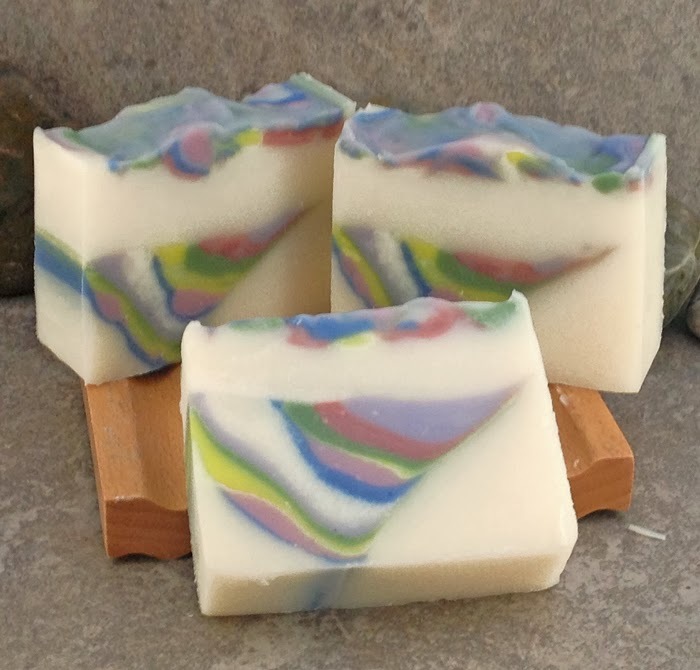 Here is a sample of my newest soap design. Angled stripes of blue, pink, yellow, green, purple and burgundy in in ivory base with a coordinating swirled top. Scented with a beautiful Hawaiian Hibiscus fragrance that also has notes of lavender, sweet violet and citrus. Light and fresh and oh so nice. This soap is now curing and will be ready for sale and use in about 4 - 6 weeks - just in time for spring! New Website and Discount Code!